In the current economic climate there appears to be increasing pressure to deliver Health and Safety Training effectively and efficiently. 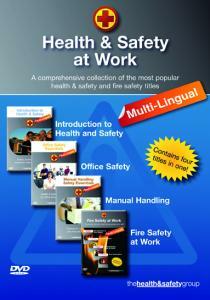 Welcome to The Health and Safety at Work Compilation and Multi-Lingual DVD. This might be the best and most cost effective investment you ever make in Health and Safety Training!